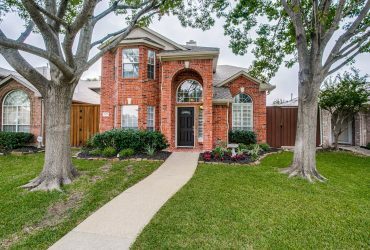 5943 Preston Gate Court Dallas Tx 75230 - Leah Loves Real Estate! 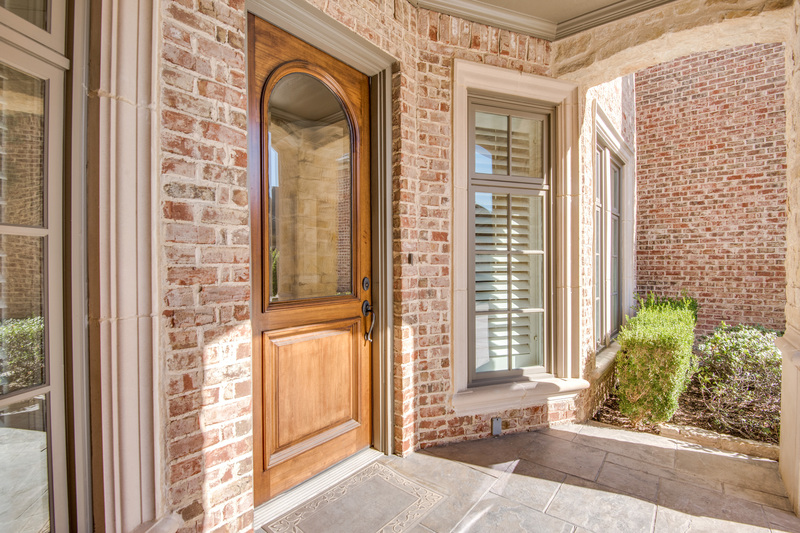 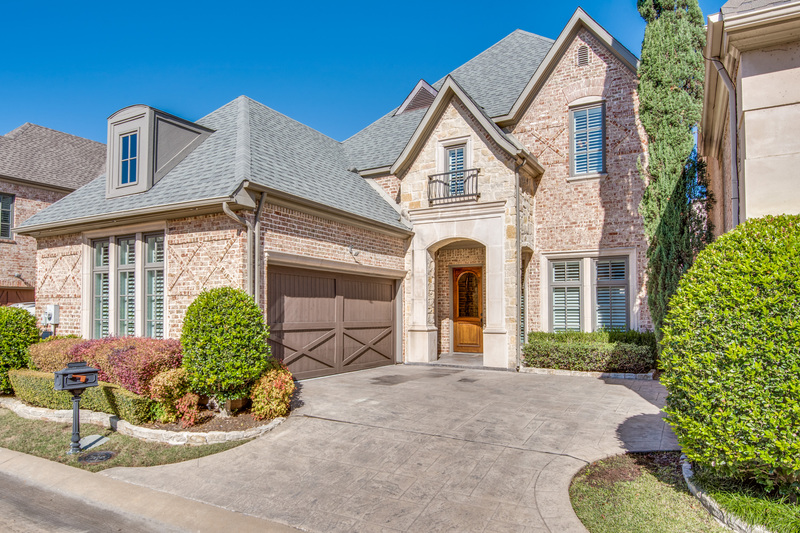 Luxurious Custom Patio Home nestled in the Exclusive Gated Community of Preston Gate. 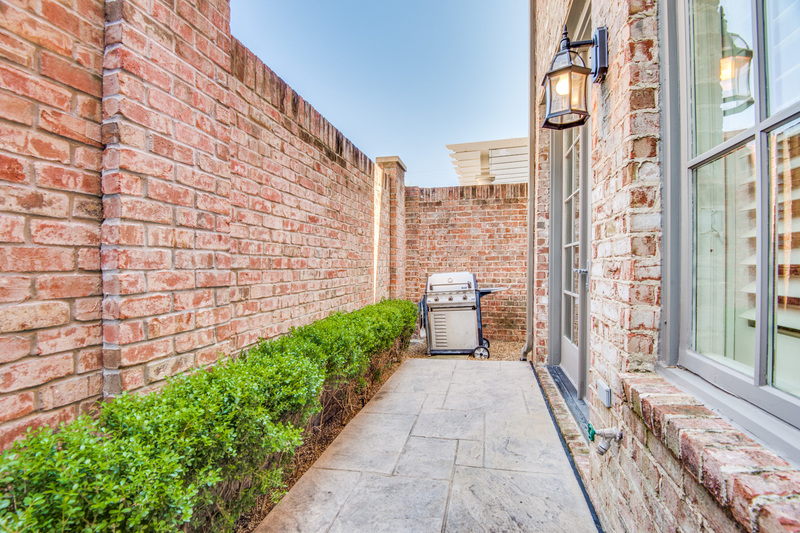 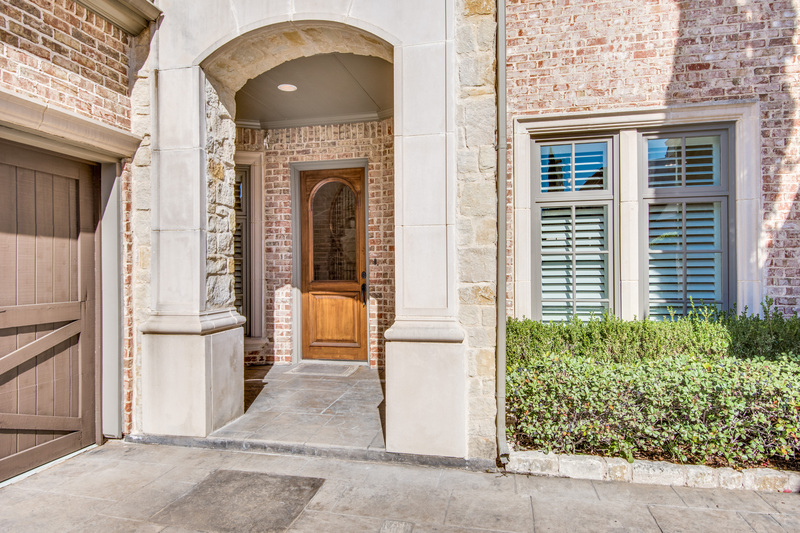 The private entrance leads to quaint niche community in superb North Dallas location close to amenities that include luxury shopping at Dallas Galleria and the Spa at The Cooper Center. 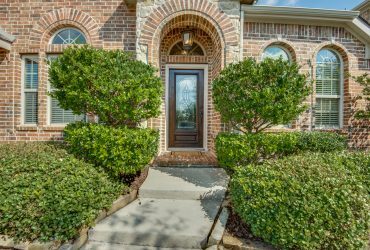 Beautiful drive up with stamped concrete entrance to stone accented covered front patio with glass inlaid front door that leads the way inside to gleaming hardwood floors. 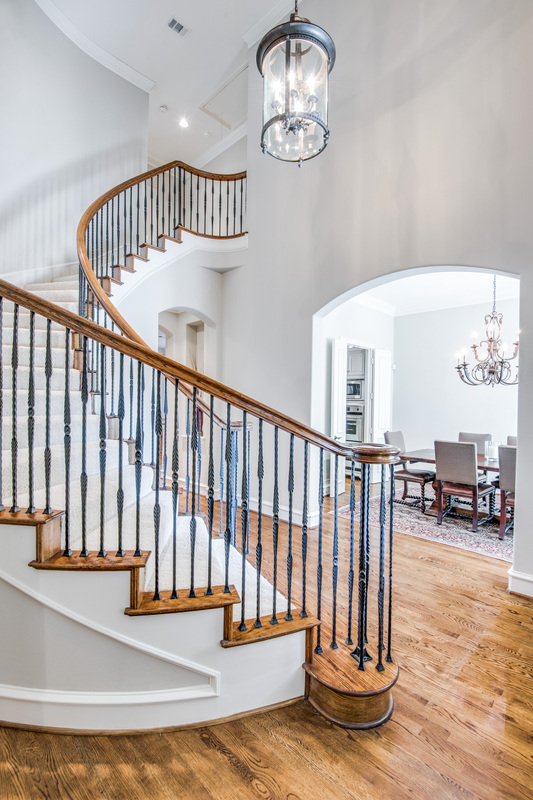 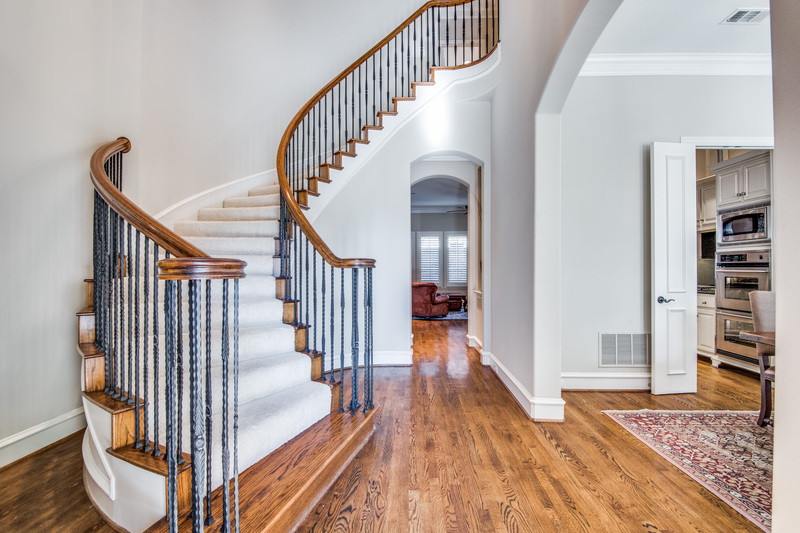 Once inside you’ll appreciate extensive crown moldings, cased windows, plantation shutters, solid core doors and impressive two-story entry with curved wrought iron staircase. 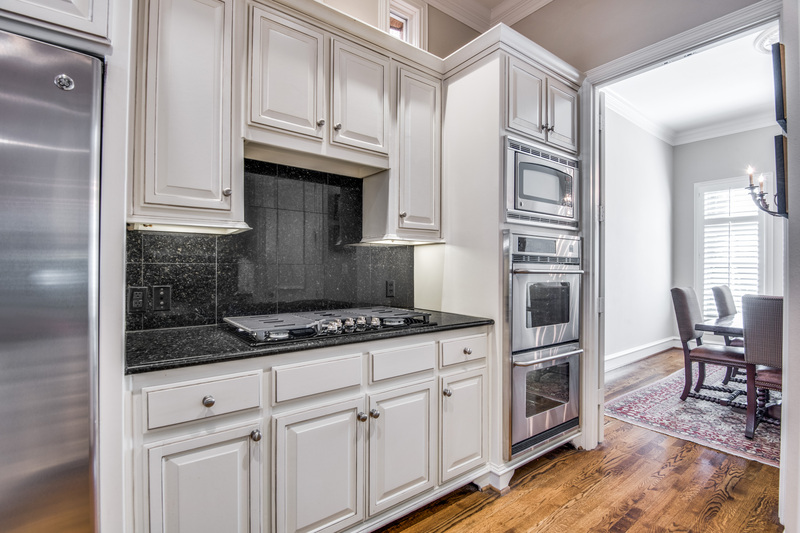 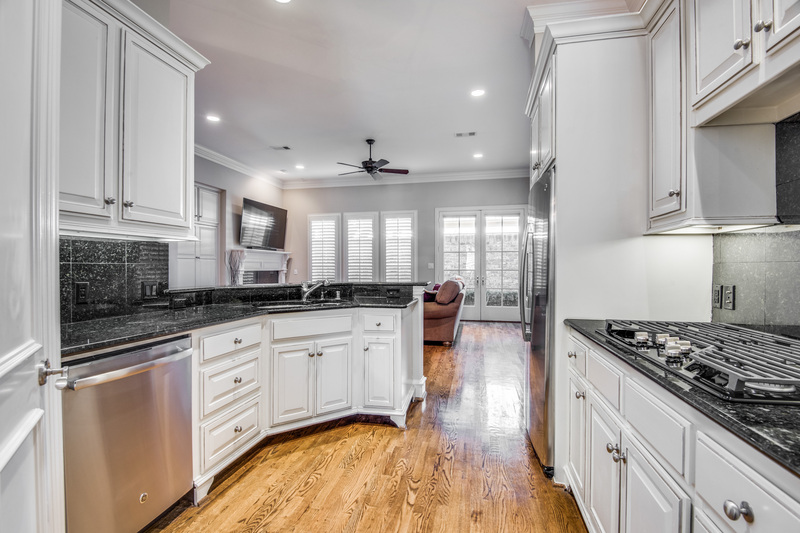 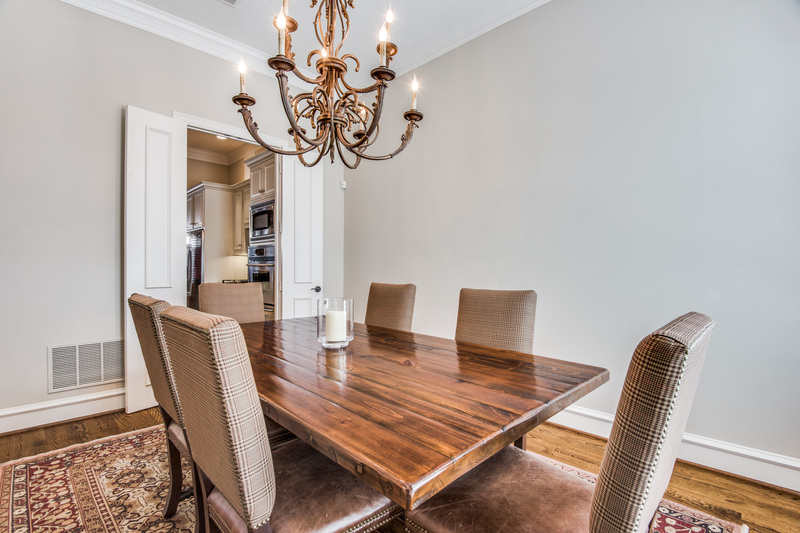 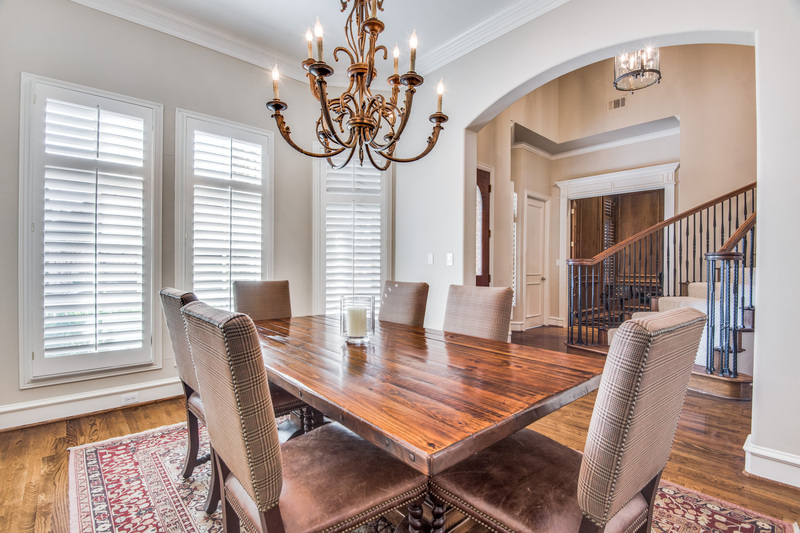 Enjoy entertaining in the Formal Dining room with direct access to well-appointed open-concept Kitchen featuring furniture style glazed cabinetry, granite breakfast bar, walk-in pantry, stainless steel double ovens and recently replaced five-burner gas cooktop. 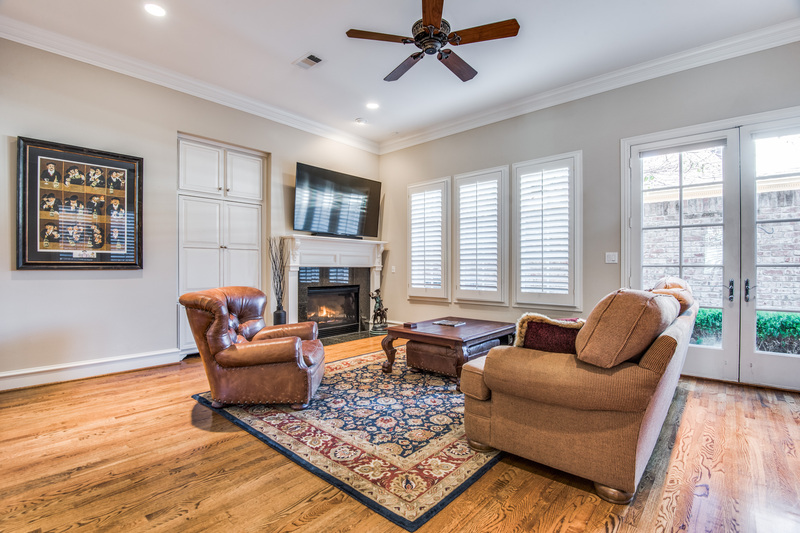 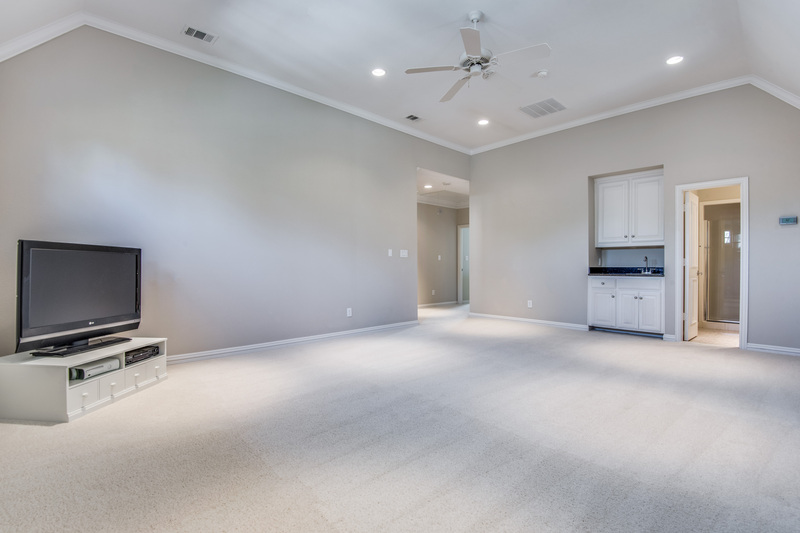 The main Living area downstairs has a high ceiling, a wall of windows, gas fireplace with granite surround and French doors to an attractive back courtyard perfect for grilling! 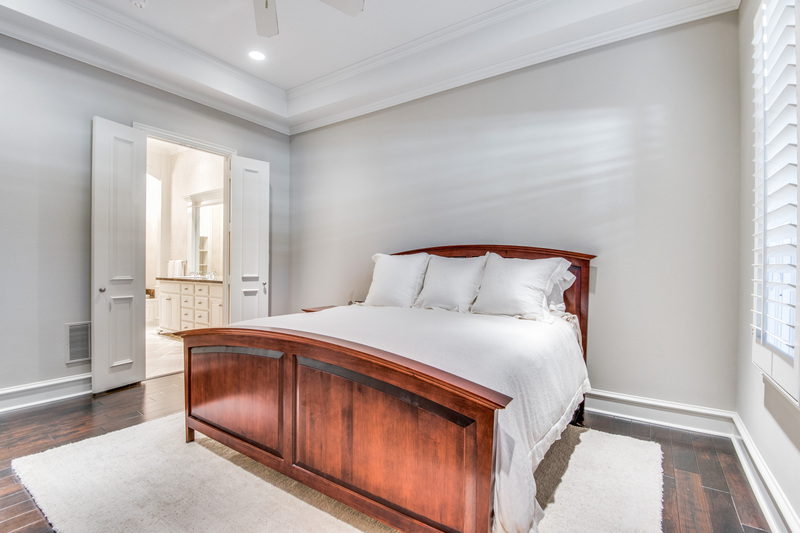 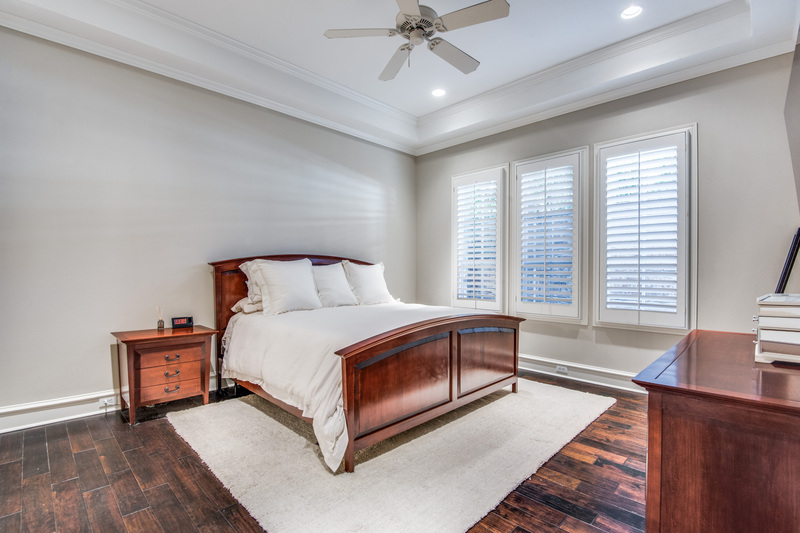 The private first floor Master Suite includes more wood flooring in the bedroom along with tumbled stone flooring in the bath and inside of the rain shower with a glass entrance. 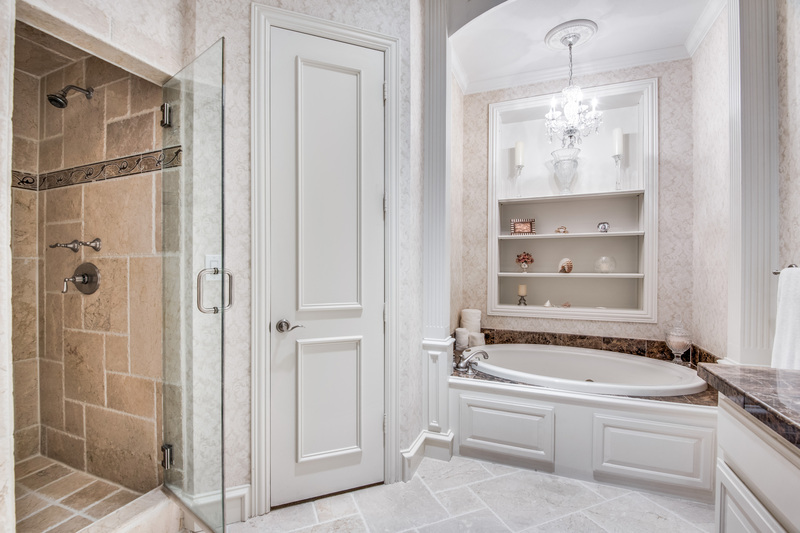 The charming bathtub alcove is a perfect place to soak and relax after a long day. 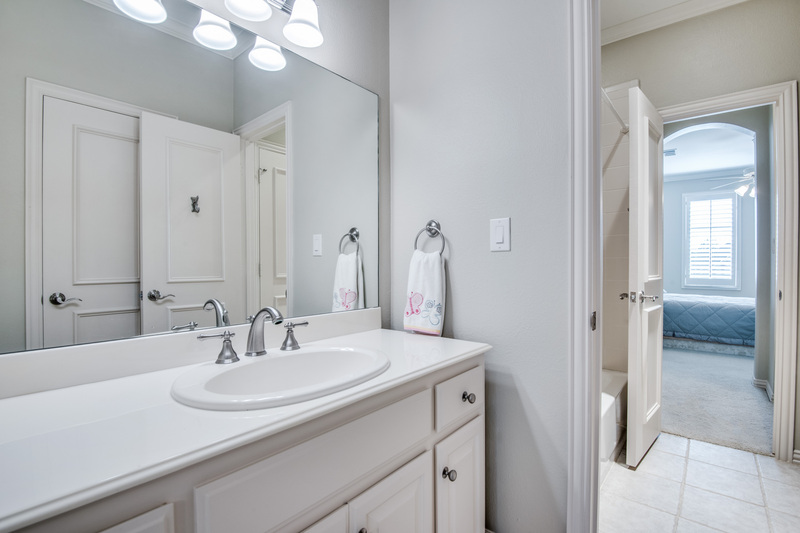 New homeowners will also appreciate the generous walk-in closet with seasonal storage. 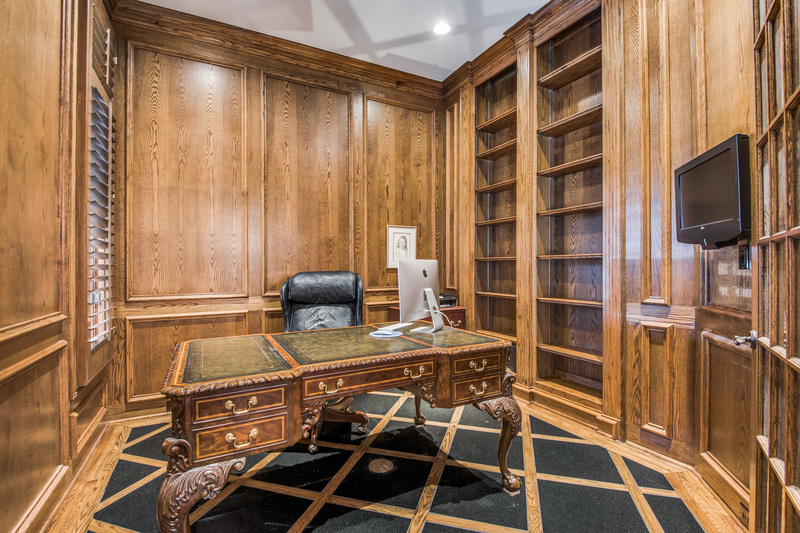 The functional Home Office with handsome wood and marble floors, a wall of built-in bookshelves and French doors for privacy while working from home is also located downstairs. 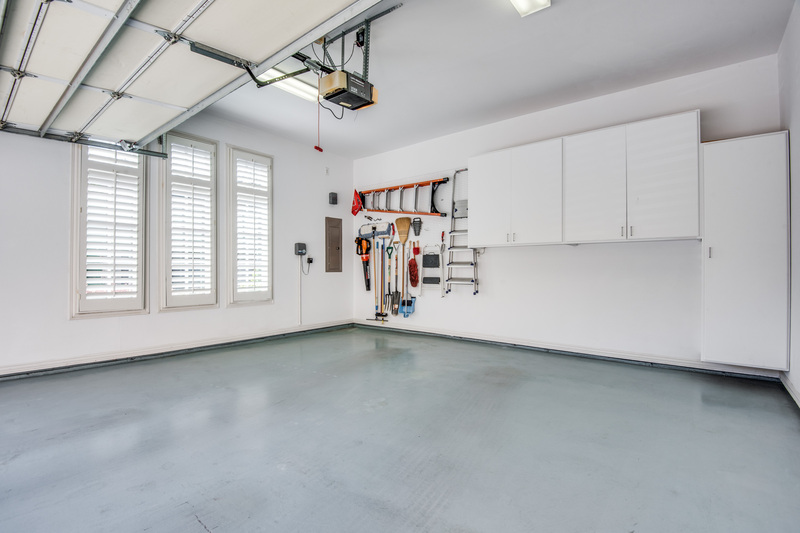 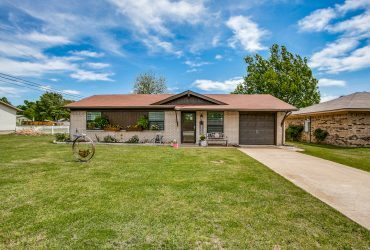 Just through the oversized utility room, you’ll find the entrance to a well-organized garage complete with epoxy coated floors, cabinets, and pegboard for storage and beautiful cedar garage door. 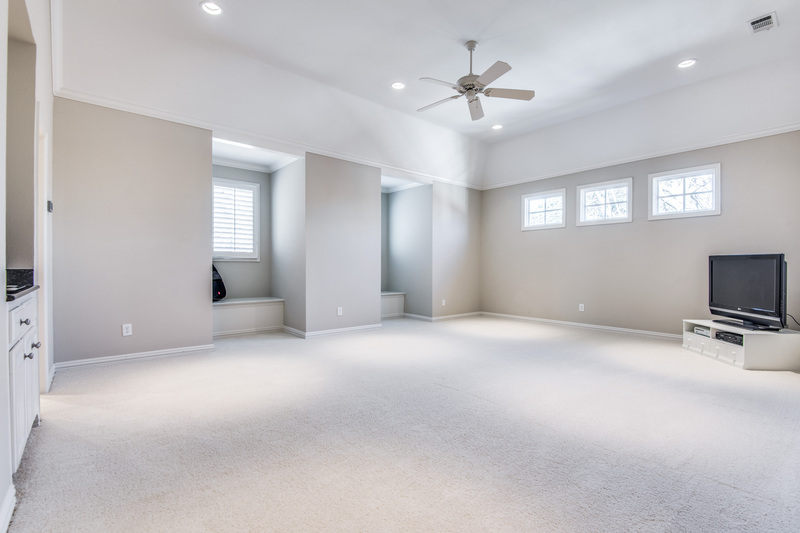 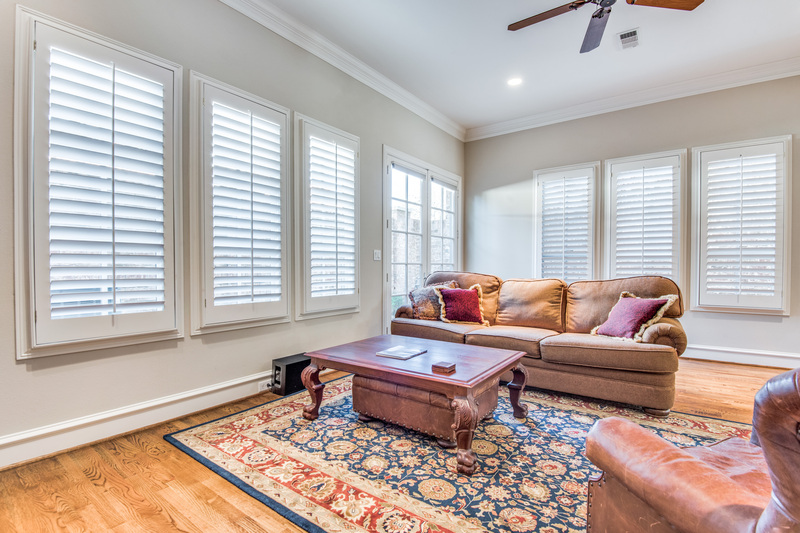 Family and guests will enjoy privacy upstairs with all new carpeting while they are entertained or relaxing in 20 x 20 Game room with storage benches, transom windows, wet bar and third full bath. 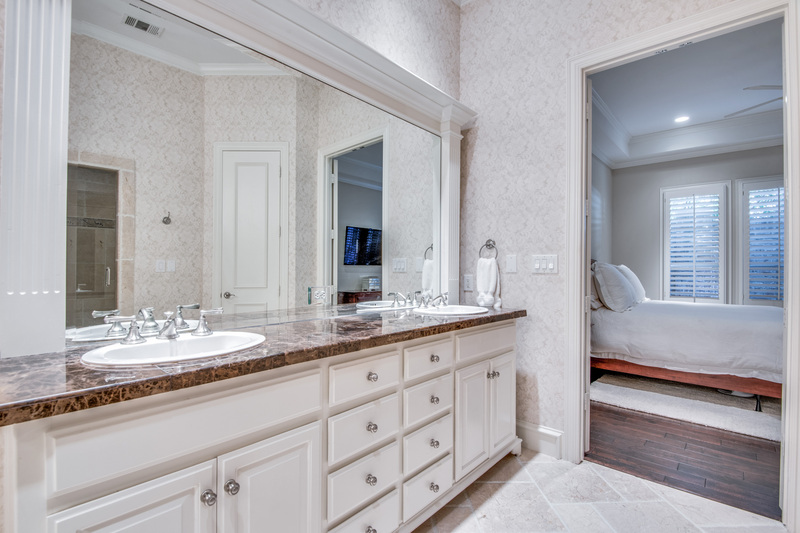 The secondary bedrooms are also upstairs and share a Jack and Jill style bath, each with private vanity areas and the front Guest Suite has an extra 12 x 7 Bonus room attached that could function as a second home office, exercise room, homework station or play area. 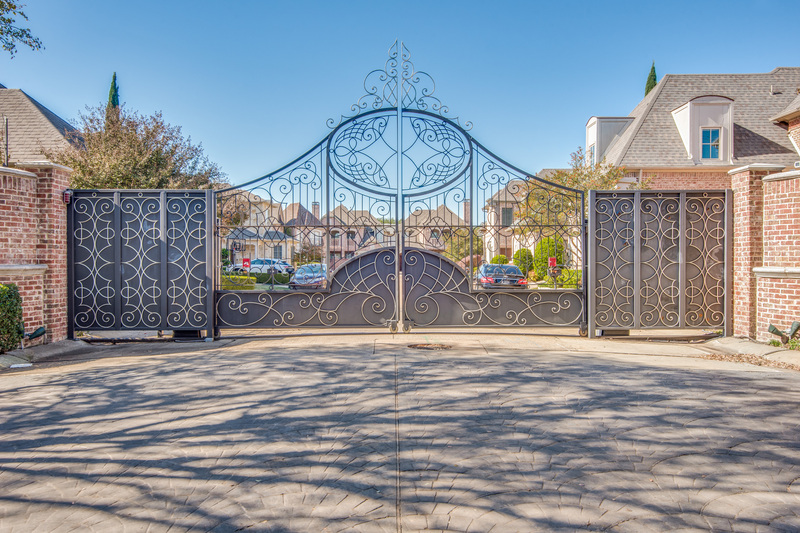 I'd like to know more about 5943 Preston Gate Court. 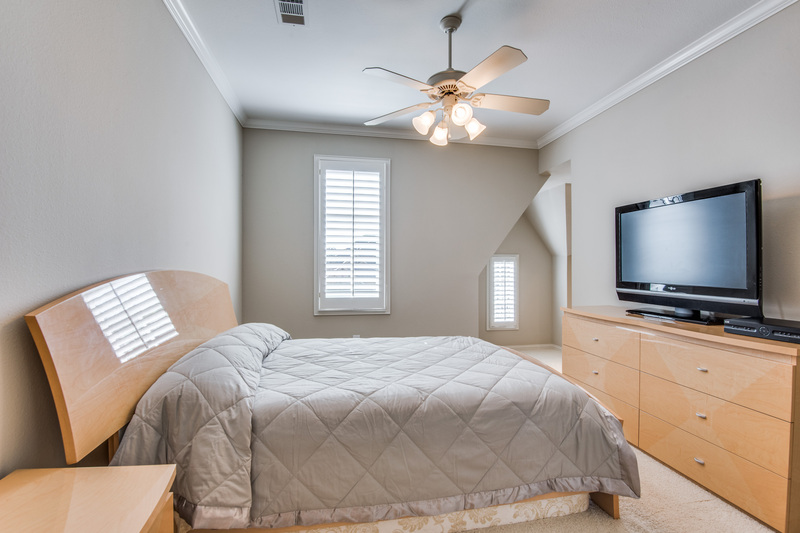 I'm Leah with Ebby and I love real estate. 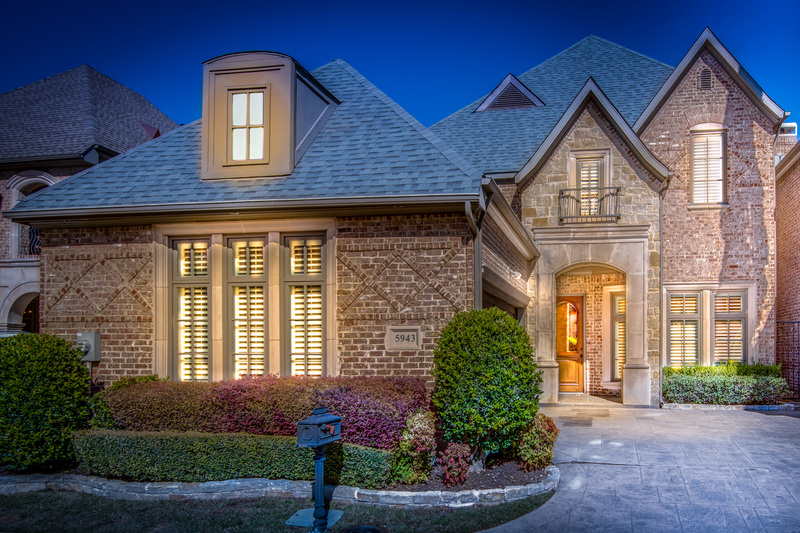 Helping friends buy and sell homes in the Dallas Fort Worth metroplex is fun and rewarding. 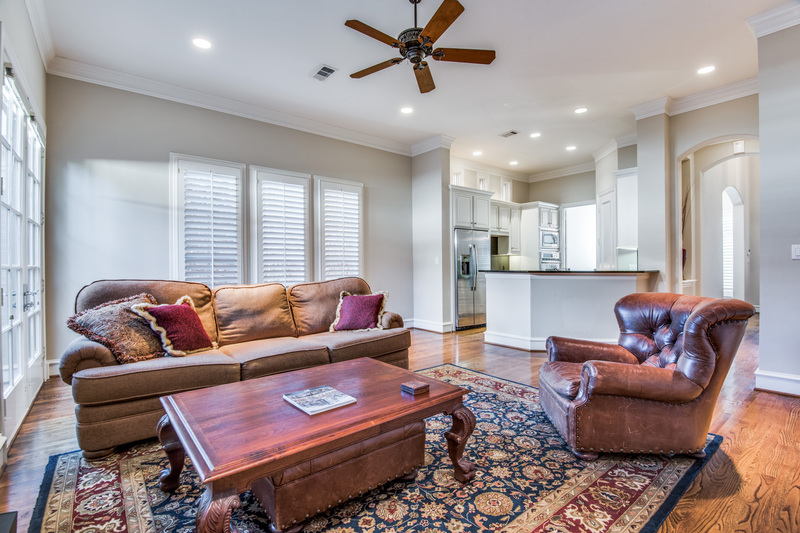 My personal goal is for every client to have a 5-star experience and be outrageously happy with their new home and the process of getting there. 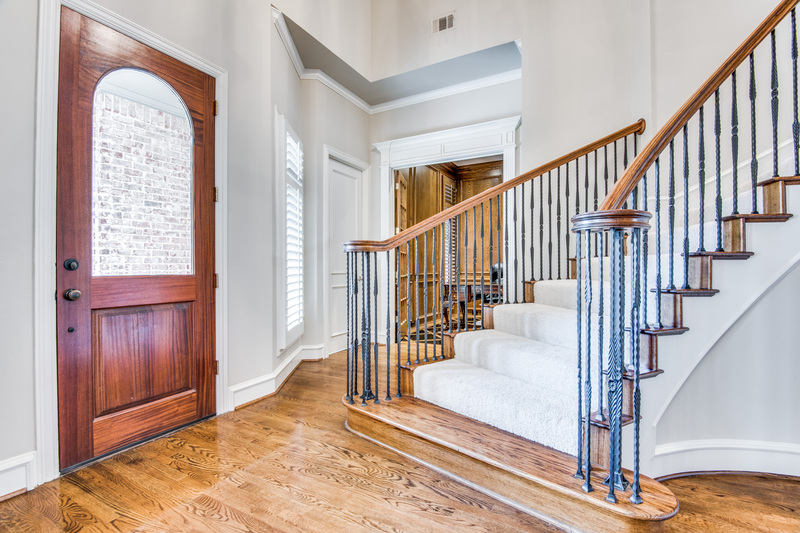 This way, friends and clients will feel comfortable introducing me to the people they care about to help with another move!